Oi. Well that was a rough weekend. I spent the entire last season porting and rebuilding my gsl-se. Finally got it running well. Took the car to Pocono with NASA last weekend and just ran DE3. 1st session: Motor pulls like a champ. So pleased. Then water pump belt snaps. I notice my temp starts climbing to 3/4. Take the car in and put a new belt on. No more heating issues. 3rd session: I figure F it, I am going to run the car with low oil pressure. the motor pulls sooooooo nice and I want some track time. I get clunking from rear and decide my exhaust might be coming off. I'll just listen to see if it gets worse and stay out. 4th session: Clanking noise gets worse, and I hear the noise that I know is what ripping welds sounds like. I shouldn't know that sound like so well but I do. Pull the car in. Notice entire rim between motor and bell housing is covered in oil. It's dripping on the ground. Bad rear main seal or rear gear seal...or both. I then notice the entire rear, in front the axel is smattered and the diff is dripping. Pinion seal is done. I then adjust my gaze up behind the fuel tank, the panhard bar brace has ripped away from the plate it was welded to. So just to review: The motor pulls well. But I am leaking oil from the front and rear of my car and the rear suspension is only half attached to the car. Had to call it a day. Put it on the trailer, drove home, swapped carbotechs onto my s2000, drove back to the track and ran the entire next day problem free. Oh sorry, I did have to top off the oil halfway through Sunday... but we'll call that a minor issue. and stay away from atkins real mains. is that the seal you used, or an rx8 seal? "Moral of the story. Just run a Honda"
while i empathise with you i feel i should speak out re your conclusion. i also realise you have a happy face attached so perhaps it shouldn't be read too seriously. a racing prepped NA rotary is by far and away the most reliable powerplant on any race track if properly built. 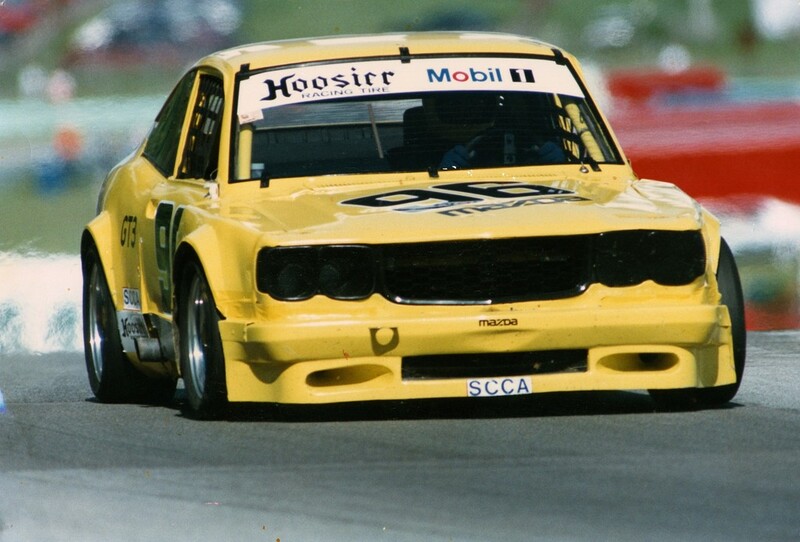 i bought Roger Mandeville's IMSA RS Series winning RX3 and while it was being rebuilt to SCCA GT3 specs had the pleasure of being at the Daytona 24 hour race with him and his team. at the end of the TWENTYFOUR HOUR RACE, not only did Mazda head for the winner's circle (GTO and GTU) but all the Mazda drivers made a point of exiting their cars on the pit wall area and letting them idle to cool down. well not really, they let them idle to show off to the non rotary guys. most of the piston engines were junk, if they were running, at the end of the 24 hours and wouldn't hold an idle. the majority of the rotary GTO/GTU cars would go on to Sebring w the same engine! i was running against $20,000 Toyota four valve engines that were tweaked to the max and you can bet they were all running fresh Runoffs motors. so the "Moral" of your story is build it right. not knocking you at all. you are On Track and everyone else is not having as much fun. good for you. i rode a learning curve in racing and had my share of "learning experiences" just like everybody. straighten out your build issues, reweld your Panhard bar and go have fun. as to your oil leak in the rear.... it could be a number of things but i did find the RX8 rear main seal can leak. i prefer the orange (earlier) seal as it has 2 times the seal area. Last edited by Howard Coleman CPR; 05-18-16 at 09:00 AM. Heeeey come on guys, that was a total cheeky comment. Of course I'm not ditching the rotary! This was my first motor rebuild and porting job and it ran like stink except for the oil leak. It was at Pocono and used NASCAR turn 1 and a bunch of the straight.... which was fun but going into the infield there was a big bump. It was, however, the fast line in my opinion so I gladly launched the car coming off the banking each lap. I can only assume this is what killed my panhard. The panhard bar breaking no doubt threw my pinion angle all sorts of off so this is why my pinion seal died. For the rebuild I did use the atkins kit. Are you saying the atkins kit gives you an rx8 rear main? So if I get a proper stock rx7 one from say, mazdatrix, it will be the larger one? All issues that can and will be fixed. 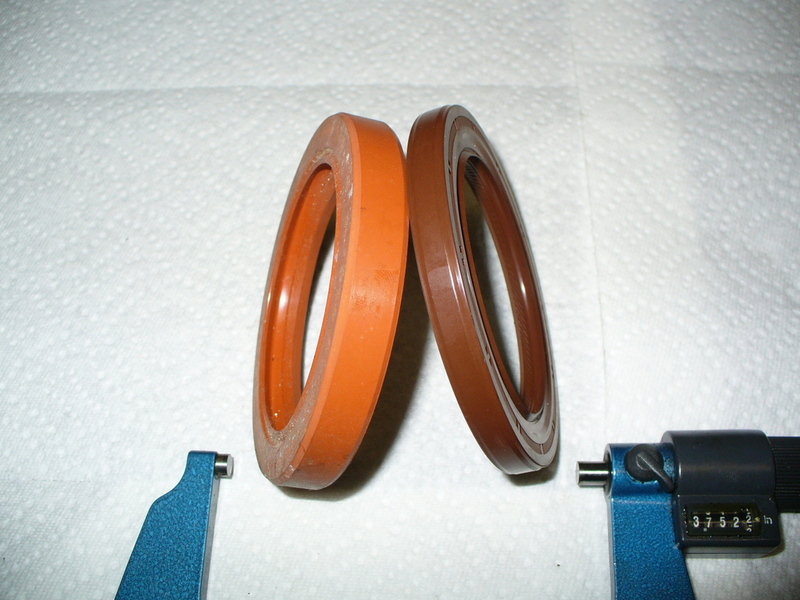 Atkins has both seals. i buy many of my interior build parts from them and am very happy w their service. i simply order the orange seals. Pocono is a monster, it must be a ball. we ran a honda for years, in fact it still holds a PTE track record, but while its quick and works in sprint races, in something longer like the 25, the car is done about 18 hours in, and its literally held together with duct tape and cardboard.